All electrical equipment has a definite life span and its replacement depend upon the manufacturer's advice. 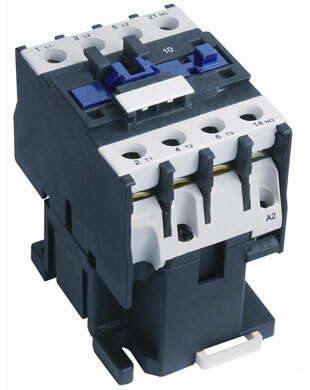 However I would advise periodic inspection to see the condition of the relay or contactor such as condition of the coil if its visible from outside, including any testings if required; the condition of the contacts, to see they are clean, carbon and rust free, and in good contact or in open position as the case may be; and the connection of the wires to the terminals and the terminal themselves; its replacement may also depend upon the frequency of operation of the particular relay or contactor and its overall importance in the electrical system and cost. There is merit moving from electromechanical to solid State Relays. 1. It is likely that most solid state relays are encapsulated. 2. This raises its use to acceptable level in classified zones in the oil and gas industry. This is ordinarily a close to forbidden route. Experience also thought me that cleaning and replacing contacts of Contactor exposes one to the risk of single phasing with motors! This means that whosoever, wants to indulge in cleaning and or replacing Contactor requires not only this skill, but adequate system knowledge of the entire installation. Even though cleaning tends to be cheaper than replacing a Contactor or relay, the consequences of its failure to meet expectation is grave. Operational or Production failure incidences induced by the failure of Contactor's performance from failed contacts can be disastrous. Production loss due to equipment failures when systematically quantified can be embarrassing! Down Time, + Spares + Man hour + Reputation = Huge Collosal Loss. Conclusion - Weigh the safety factor + regulation + All that stake holders concern to determine if Contact cleaning, outright replacement of contacts or Contactor replacement. It is in the light of the temptation to clean and replace contacts that solid state philosophy is preferred. On the long run cheaper.